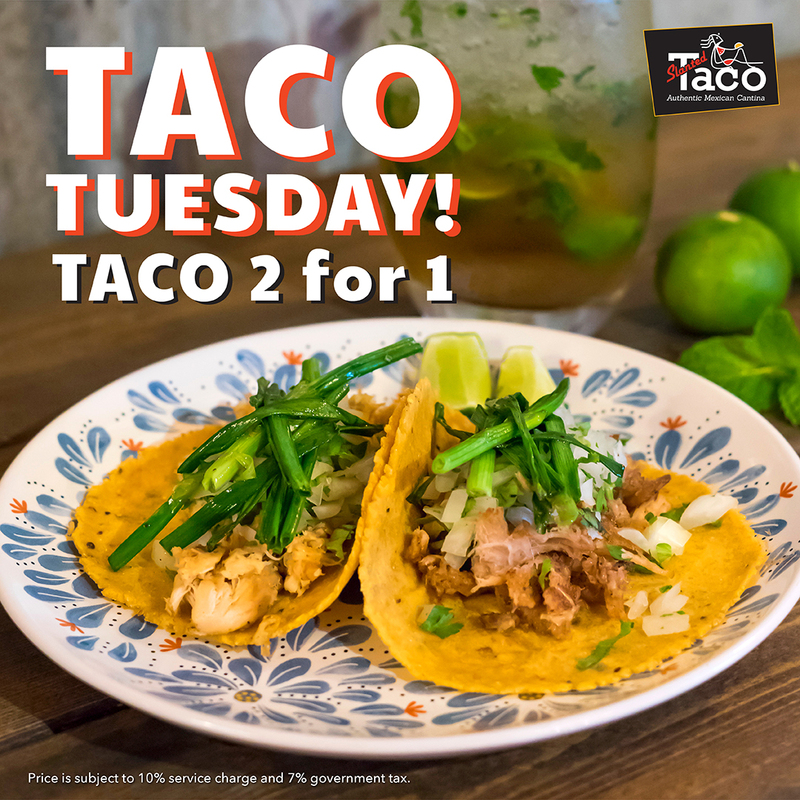 It’s Taco Tuesday buy 2 for 1 taco at Slanted Taco Sukhumvit 23!! Every Tuesday we are serving up juicy Mexican Street style tacos all day and all night. There is nothing better than tacos. Slanted Taco a Mexican cantina with a South Beach, Miami VIBE, located in the heart of Asoke in BKK23 complex. Serving Mexican street-style tacos in homemade, hand pressed corn tortillas and a wicked Taco Tuesday. 2 for 1 Tacos promotion is all day every Tuesday. Slanted Taco serves great fresh Mexican dishes from taquitos, to choriquesos, to burritos, to fajitas and sopapillas. It also offers a offers a whole range of 20 different Tequilas and Mezcals, as well as cocktails like their signature ‘Machurat’ spicy margarita rimmed with salt and crowned with red chili horns.